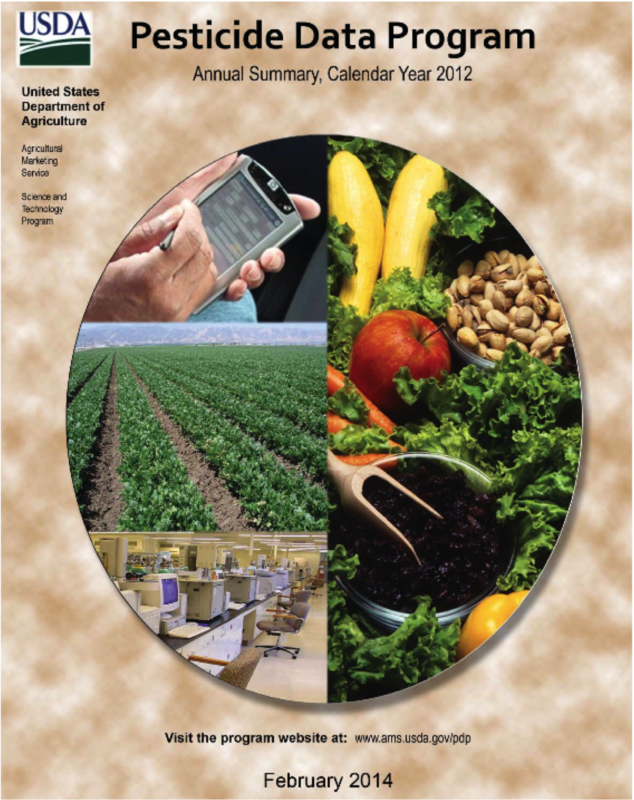 Last week, the USDA released its annual Pesticide Data Program (PDP) report about pesticide residues on food. 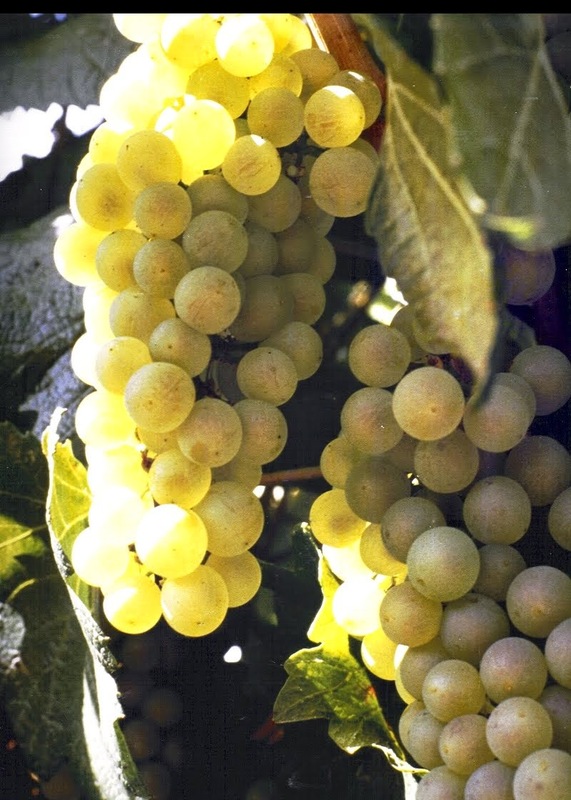 This release comes from extensive sampling of crops entering the market during 2012. "The Pesticide Data Program provides reliable data through rigorous sampling that helps assure consumers that the produce they feed their families is safe." "The newest data from the PDP program confirm that pesticide residues in food do not pose a safety concern for Americans." For the agricultural community, particularly those involved in the production of fruits and vegetables, this USDA program is sort of a report card - like a grade to you get for a "group project" of epic proportions. Imagine you are back in school. You are part of a huge group of fellow students only a few of whom you know, and many of whom are in different countries around the world. The grade that you will receive is based on the work of a random sub-set of these students. All that you can do is try your best and hope that everyone else does the same. Under those circumstances, it would be a great relief to find that your entire group did such a good job that their collective score was 99.5%! That is an A+ by any standard. That's what just happened again for the farmers who produce our food. This isn't the first time. There is a great website that allows you to visualize the data from all the years the PDP has been conducted. The pesticides used in modern agriculture are now dominated by products which are far less hazardous than what most people imagine. The use of all pesticide products is highly regulated, and in order to use them, farmers have to qualify for a license and must take continuing coursework to maintain their right to use them. They are required to adhere to the detailed label restrictions for every product in terms of how much can be used and how long before harvest. Those label rules are based on an elaborate risk analysis that the EPA performs for each product. That analysis reflects information about toxicology, metabolism and environmental fate which is generated for each product at a cost of many millions of dollars. Based on all that information, the EPA sets a "tolerance" for each product specific to each crop on which it is allowed. If the pesticide residue level on a crop is at or below the tolerance, it has something like a 100-fold safety margin for consumption by us, the consumers. So what matters with pesticide residues is not simply whether or not they can be detected with the enormously sensitive laboratory methods available today, but exactly which chemicals are involved and at what levels relative to the tolerances. So how did farmers do for the 2012 crop when it comes to residues relative to tolerances? They did great! 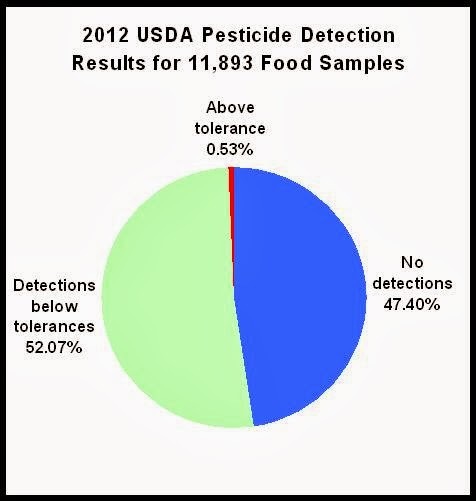 Of the 11,893 food samples tested, 99.47% had no chemical residues above tolerance. 47.4% had no detectable residues at all, but for the rest the levels were often far below the tolerances. Most crops tested in 2012 had NO samples with over-tolerance residues. Those included apple juice, avocado, baby food made from apple sauce, carrots, peaches or peas, bananas, butter, cantaloupe, cauliflower, mushrooms, onion, orange juice, papaya, plums, tangerines, and wheat grain. I hate to be like the parent who sees a report card with all As and one B+ and focuses on the B+, but it is interesting to see what was going on with the half of one percent, or 63 of nearly 12 thousand samples that had residues which were over tolerance. There was only one sweet pepper sample imported from Spain that had such a residue. There were two samples of summer squash from the US with residues slightly above the tolerance. There were four samples of winter squash, two from the US and 2 from Mexico, which had higher than tolerance residues. The only crops with any significant number of above-tolerance detections were snap peas (32 from among 743 samples) and cherry tomatoes (24 from among 744 samples). However, even these unusual incidences were not enough above tolerance to be of major concern. For the snap peas, 97% of the samples with those higher detections were imported either from Guatemala, Peru or Mexico. For the cherry tomatoes, 83% of the above-tolerance samples came from Mexico. If the "group project" was divided into a US farmers team and a importers team, their respective "scores" would be 99.88% and 98.76% - different, but both still A+ grades. For just over 4% of the 2012 samples, very low levels of pesticide residues were detected for materials that didn't have a specific tolerance for that crop. This can happen because of spray drift or contact with equipment after harvest. The levels were too minor to be of concern to the regulators. Similar, low level residues are found on organic crops. In a recent pesticide residue study in Canada, synthetic pesticide residues were detected on more than 40% of organic produce. Similar results have been seen for organic in the US in the past. Again, these sorts of very low level detections for organic or non-organic crops reflect mainly the sensitivity of analytical lab methods - not any real risk to consumers. As in previous years, this survey documents the fact that our food supply is extremely safe, and that no one should hesitate to enjoy it based on worries about pesticide exposure. Unfortunately, we can expect that once again, the Environmental Working Group will take this transparent source of public information and intentionally misconstrue it to generate their "dirty dozen list." They ignore the transparent public data about which chemicals are found, at what levels, and how that relates to the tolerance. The EWG ignores those critical details, because to do so suits their agenda of scaring people into purchasing organic (They fail to mention the studies showing similar residues on organic). If things go as usual, much of the press, blogosphere, and organic advocacy community will uncritically re-transmit the EWG's distortions. The effect can be that many innocent consumers will either avoid health-promoting food options, pay a price premium for organic, or feel guilty about not doing so. That would be sad. In fact, this new USDA data shows that the diverse collection of farmers who produce our food deserve appreciation for their care in controlling pests in a way which is also safe for us as consumers. The truth is that consumers deserve to enjoy what those farmers have produced without fear or guilt. Am I A "Shill For Big Ag?" Because I blog, speak, and comment in support of various agricultural technologies, I am routinely accused of being a "shill for Big Ag" or for some company which you can probably guess. They believe that I am somehow paid to say what I say. If I am a "shill," I'm clearly not doing it right. Either that, or there is in fact no money in the shill business. When I've met some fellow farming and technology advocates, we often joke about this. "Did you get your Big Ag check yet? Mine doesn't seem to be coming?" While I'm sure there are people who will never believe this, in 5 years of advocacy I have never been offered any money, nor do I know of anyone else who has. There is no formal or informal "Shills-R-Us"organization or whatever it is that some people imagine. In actuality, there is a relatively small community of people who choose to defend agriculture and its supporting technologies, and they do so by committing their own time and effort without compensation. Why do we do this? 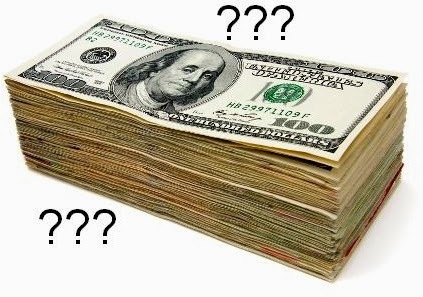 I’m sure the there are many reasons, but making money isn’t one of them. In fact, choosing to speak out on the hot-button issues around food and farming is much more likely to detract from a career. Cami Ryan, a social scientist who both advocates for agriculture and studies the public debate about it, has documented the practical reality that when University faculty members take time to advocate, it only detracts from time spent on the criteria by which their careers are advanced (publications, grants…). I’m very glad some academics are still willing to do it. I’m also very glad that there are members of the farming community willing to take time from their busy lives to speak out. Besides, anyone who actually knows scientists or farmers realizes that they are fiercely independent people who would not like anyone telling them what to think or say. I'm a somewhat unusual member of this advocacy community in that I'm very much an industry insider. In the past I've worked for a large technology company, DuPont, and also for a small, start-up technology company, Mycogen. Since 1996 I've been an independent consultant working for all sorts of different companies in the agricultural technology space - pretty much all of them at one time or another. Over those years I've done projects on a wide range of technology, marketing and sustainability questions, but none of that paid work has had anything to do with the advocacy work I've been doing since 2009. In fact, the substantial amount of time I've spent on blogging etc has had the effect of reducing my consulting income. My writing has also compromised my consulting business to some degree. My visibility in a controversial and acrimonious debate is problematic from the perspective of some of my clients. My writing has led to some speaking engagements, but when I do get an honorarium for those, it does not begin to cover the lost potential income. One major reason that I continue to spend time blogging, and the reason I shrug-off the shill accusations, is that I feel an obligation to share the perspective I've gained specifically because of being an industry insider for more than 35 years. The industry and farming communities I know are not anything like the picture often presented by critics of agriculture. After years of listening to unfair demonization of the creative, thoughtful, ethical people in agricultural industries, I felt compelled to try telling their side of the story. I've had the privilege to know and work with many people in industry and academia who have developed key tools for farmers. I've had the privilege to sit down and talk about technology issues with diverse groups of farmers. I've spent quite a bit of time with a variety of regulators who are charged with assessing risk in these fields. What I've seen is that people associated with farming are not at all like what appears in the dismissive and or conspiratorial narratives that abound. Yes, I'm an industry insider, and I'm proud to be a part of that sector. I don't blame anyone for taking my potential bias into consideration, as long as they will still consider logic and facts. Another reason that I continue to blog is that I'm saddened to see so many people who view their food supply with fear and/or guilt. Those of us who live in the rich world have access to a remarkable range of delicious, safe, nutritious, food options. However, we are inundated with voices telling us otherwise and giving us inappropriate and sometimes outright terrible advice about food. One of my goals is to give consumers some background to use to better sift through the onslaught of often confusing and misleading "information" that abounds. The final reason I continue to advocate for certain technologies and for the right of farmers to use them is that I believe it matters. There is an important ethical dimension, not just to what technologies we use, but also to those we do not use or do not develop. There are significant ramifications for the future of the food supply in the rich world, but vastly more important ramifications for those outside of the rich nations. I'm not saying that technology X or Y will "feed the world." It's never that simple. But the truth is that farmers are the only ones who will feed the world, so it's time to pay attention to the tools they find most useful for doing so. I know that I am unlikely to influence almost anyone who thinks that I do this because I'm a "shill." My hope is to offer an alternative perspective for those who are still open-minded enough to weigh facts, data, and personal experiences. The above video is making the rounds on social media in which a young girl named Elise describes her science project. Elise wants to sprout a sweet potato plant from a conventional sweet potato she purchased at her local grocery store, but it doesn’t work. Her grocer gives her the explanation that the sweet potato was probably treated with a sprout inhibitor chemical called Sprout Nip®. She tries again with an organic sweet potato, which sprouts much better. Elise finds some information about the mentioned inhibitor, and then concludes that this is a good reason to buy organic. The little girl is articulate and convincing, but in fact she is straight up wrong about the sweet potatoes. She also lacks some important perspective on the role of sprout inhibition in the sustainability of the food supply. It’s a good example of how social media can be a misleading source of "information" about food and agriculture. I heard about this video from a blogging friend named Amanda who does some great posting as The Farmer's Daughter USA. We decided to work together to frame a response for both of our readerships. I've never really worked on projects involving sweet potatoes, but it was an easy matter to determine whether Sprout Nip(r) is a sprout inhibitor used for that crop as the grocer told the student. The EPA approved labels for crop protection products are all available on-line. The label for Sprout Nip does not list sweet potatoes among the approved uses. Unlike the pharmaceutical industry, where a doctor can prescribe a drug for something other than its original use, it is strictly illegal in agriculture to use a product unless it has been approved by the EPA for a specific crop and use scenario. So the grocer mislead the student, but was he was just wrong about the particular chemical? Again, it wasn't hard to find a comprehensive document from North Carolina State University about post-harvest handling of sweet potatoes. That document clearly states that, "chemical sprout inhibitors are not used in sweet potatoes because proper temperature control inhibits sprouting." I also checked with one of the expert authors of that document, and she confirmed that there is no need for sprout inhibitors if sweet potatoes are properly "cured" by holding them at the right conditions soon after harvest. So the difference the student found between the conventional and organic sweet potatoes had nothing to do with a chemical sprout inhibition treatment - neither the conventional or organic sweet potato had been treated with one. It is more than likely that the reason there were differences in sweet potato sprouting was merely due to their ages and how these were stored. In any case, the "good reason to buy organic" conclusion from this "experiment" was simply wrong. I don't blame the student, but rather the adults who "helped her" reach such a conclusion. I hope little Elise has a continuing interest in science and eventually learns about how to design experiments with appropriate controls and sample sizes, and learns about not jumping to ideological conclusions that your data can't support. The other problem is that this video fails to provide any perspective on the important role of sprout inhibitors for the sustainable production of the crops where they are actually used. Recently, a number of food commentators have rightly been emphasizing the importance of reducing food waste, not just producing more food. What few acknowledge is that there have been people working hard to do exactly that for several decades. Sprout inhibitors are one prime example of waste reduction. Why Are Sprout Inhibitors Used On Regular Potatoes? The sprout inhibitor that Elise describes, chlorpropham, has been an important tool for regular potatoes for nearly 50 years. It is better known in that industry as CIPC. Most of the spuds grown around the world are called "fall potatoes" because that is when they are harvested. For centuries, people have spread out that supply by putting the potatoes into a cool, dry storage facility of some type - originally just a "root cellar" and in recent times large storage facilities that can handle millions of pounds. If the potatoes are stored at a temperature that is best for quality, they will eventually begin to sprout. Most consumers have had the experience of potatoes sprouting in their pantry because we generally store them at room temperature. Without the ability to control sprouting, there would be no way to maintain the consumer and restaurant supply of fresh potatoes for a good part of the year. This is even more of an issue for the increasingly popular colored potato varieties. The sprouts are also rather toxic. For the part of the crop being held in storage longer, there would be substantial waste because it isn't always possible to predict when a given lot will start sprouting. 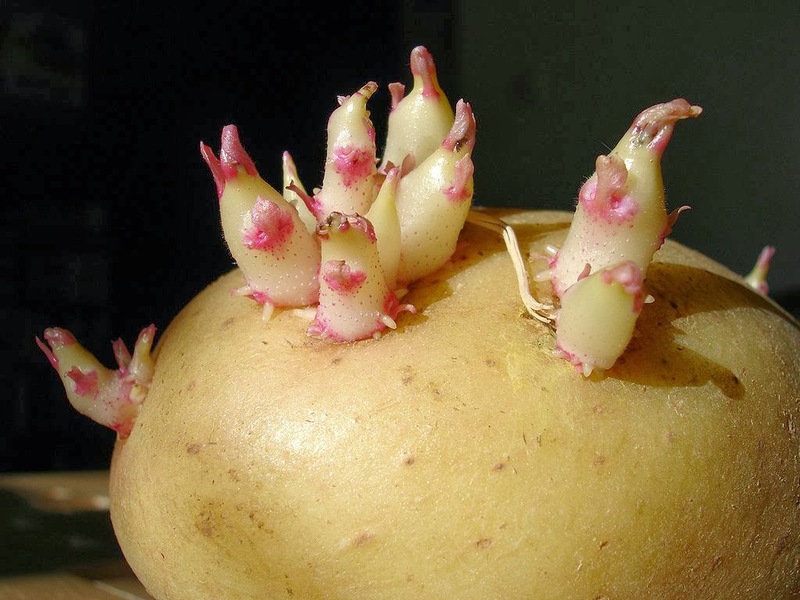 By the way, organic potatoes have to be treated with a sprout inhibitor as well. Currently their best option is clove oil. Because it is less effective, it has to be applied as many as 5-8 times during the storage season. Longer term storage is also very important for the substantial part of the potato crop that is processed to make frozen fries and other products. Without the ability to prevent sprouting, it would not be possible to spread processing of the fall crop over most of the year. That would mean needing to build a great deal more processing capacity and then to have it sit idle for many months. The processed potatoes would also have to spend longer in low temperature storage. All of these things would increase the capital cost, energy requirements, and ultimately the consumer cost. In addition, storing potatoes at low temperatures will increase the sweetness of the potatoes and this is undesirable from a taste standpoint. That is the reason why, one should never store their potatoes in a refrigerator. As for whether CIPC is safe, as an older product in use for over 50 years, it has been through multiple cycles of close scrutiny by the EPA and regulatory agencies around the world. You can read a detailed risk assessment from the EPA, which determined that if potatoes had residues below a new, conservative threshold of 30ppm (parts per million) they would be safe for consumers. Potatoes have been tested in the USDA's Pesticide Detection Program (PDP) 9 times since 1992, and none of the detected Chlorpropham residues were even close to that level. Some export market countries have set lower thresholds (e.g. 10ppm for the EU), and a few of the historical detections have been at that level. Thus, there has been interest for some time in finding an alternative way to prevent sprouting. There is a very good article about all this in Spudman magazine (seriously - there is a potato trade journal by that name - I used to have a subscription). Nevertheless, many grocery chains and restaurant chains are actively looking to drastically reduce the amount of CIPC on the potatoes they buy. A few years ago, a scientist named Dr. Rick Knowles at Washington State University captured natural, volatile chemicals that came from potatoes. He analyzed them and reapplied several of the products back to potatoes. He found that certain unsaturated ketones and aldehydes caused sprout suppression. Many of these chemicals are known, food-grade flavoring agents. One of those was subsequently licensed and commercially developed by AMVAC under the trade name SmartBlock®. It was approved for sale in 2013, and is already getting lots of traction in the industry. Growers are finding it to be a good replacement for CIPC. In Europe (where CIPC is also under some pressure), it may be approved for use as well. It is more expensive than CIPC, but probably not enough so for consumers to see any noticeable price change to the cost of raw potatoes, French fries or chips. SmartBlock(r) is based on a "natural product," that is to say that it's active ingredient, 3-decen-2-one, is found in foods such as yogurt, tuna fish, soy, mushrooms etc. Having that "natural" status is certainly helpful for marketing, but in fact that does not automatically mean anything about its relative safety. There are natural products that are extremely nasty - this just does not happen to be one. It is in fact on the GRAS list: Generally Regarded as Safe, which is a list maintained by the Food and Drug Administration (FDA) for use as a direct food additive in things like baked goods, non-alcoholic beverages etc. The actual importance of being a naturally occurring compound is that there is a much lower cost pathway for registration for such products through the EPA (as a Biopesticides). The requirement is that the material passes Tier I toxicity testing with flying colors. That is important because even the entire global potato storage market would not be a big enough market to justify the huge investment it takes to commercialize a new, synthetic product. It seems likely that SmartBlock may replace a fair amount of the use of CIPC on potatoes, but it will take time to learn how best to use it to prevent food waste. The company is trying to get it approved for organic potatoes as well, but whether it will be allowed for that use is currently unclear. Even though one can find the chemical in nature, it is not at all practical to get enough of it by extracting it from those sources such as yogurt or tuna fish! SmartBlock is made synthetically, but it is the identical chemical to what is found in natural sources and is 98% pure. This is not a situation like vanilla extract where the artificial vanilla only represents one chemical in a complex mixture. It’s also not like some vitamins which are less bio-available from synthetic sources. Even so, the rules for organic are based on a philosophical preference for "natural," not on chemistry or safety alone. Elise’s appealing little video, which has gone viral on a lot of organic websites, is a classic example of how the "information age" can become the "disinformation age." There is actually a ton of relevant information available on the internet, but when people lack proper background, and when they come to a question with a pre-existing bias, it is all too easy to just find what you want or expect to find. That is what happened in this case, and so this young student ends up being an effective transmitter of "information" that is simply wrong.